I love the pristine beauty of Winter. We spend more time inside savouring the coziness and the warmth. We slow down and make time for fairytales, imagination and playfulness. 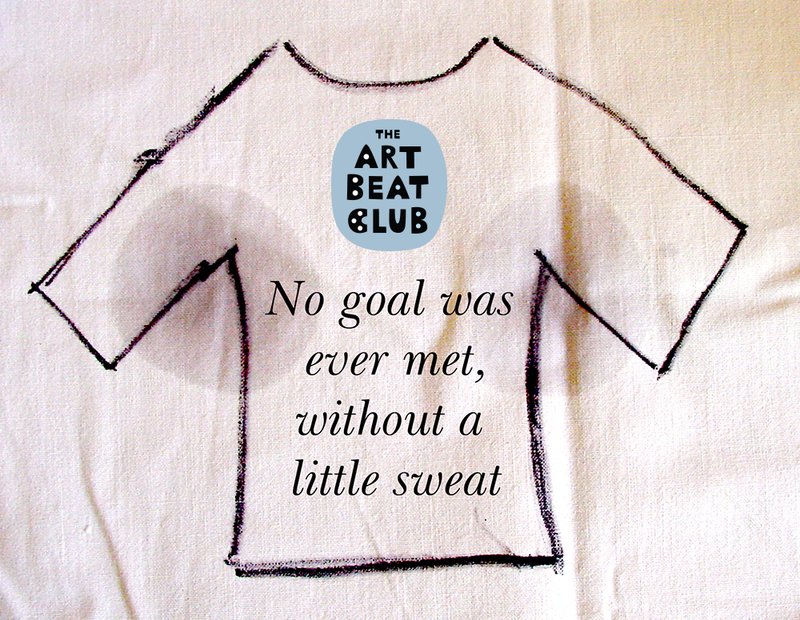 This is why I decided to do The Art Beat Club in Winter Wonderland. and everyone refuses to believe in magic. Let’s go inward, reflect and dream. Let’s enter the land of silence and imagination and meet Tweedledee and Tweedledum. Let’s uncover stories and let Winter bring out the playful child in you. Let’s find the tiny golden key and draw the loveliest garden you ever saw. Let’s fantasize about the curious bottle with a mixed flavour of cherry-tart, custard, pine-apple, roast turkey, toffy, and hot buttered toast. Let’s paint the White Rabbit, splendidly dressed, with a pair of white kid gloves in one hand and a large fan in the other. Let’s dream up a Tiger-lily, daisies and a willow-tree. Let’s draw a buttercup, a sleepy caterpillar with a hookah, the Queen of Hearts or footmen in livery with powdered hair that curled all over their heads. No fear, no worries. Marenthe will guide you step-by-step, even if you’re not a professional artist at all. It’s about inspiration and play, not about painting realistic rabbits. In your own style and pace. It will be fun. Rediscover inspiration, freedom and fun. Get your creativity back in the limelight. Learn how to trust your gut and break down patterns and barriers. Get short practical excercises and live tutorials from Marenthe. Play with typography and hand lettering. Learn how to visualise your inner wonders and conquer a white page (or a white rabbit). Play with paper, inkpen, the finest paint materials and words. Step-by-step. Make space and time to be in tune with our creative self. Marenthe will guide you with step-by-step exercises and you’ll learn how to build your own visual story. The theme is winter, Alice in Wonderland & Through the Looking Glass and a little bit of the weirdness of Tim Burton and Pippi Longstocking. We’ll also do a visual meditation. On day two, you’ll learn how to bring more magic into your artwork with a small group of no more than 7 people. We’ll dig deeper into the things we did on day one and we’ll spend a full day at Marenthe’s lovely atelier in the centre of The Hague. Marenthe will give you extended personal attention, feedback and guidance. NOTE: You can join day two ONLY in combination with day one. Lunch is NOT included. You can have a delicious meal with us at the Villa Augustus restaurant in Dordrecht (day 1) and at Walter Benedict in The Hague (day 2). Please tick the box(es) below if you want to reserve a spot for lunch in the restaurant(s). You will need to pay the restaurant directly on the day. Registration is confirmed on receipt of payment. You'll receive an invoice by e-mail. Payment within 7 days. You can cancel free of charge within 14 days after registration. In that case, the paid fee will be refunded in full unless this falls on or after November 8th. No refunds will be given after this date. In the event that the Masterclass is undersubscribed, Marenthe reserves the right to cancel. In that case we’ll refund your money within 7 days. Marenthe will set clear goals for you, which you’ll work on. You’ll experiment and make your Frankenstein brain stop thinking. You’ll feel more freedom to create. You’ll get rid of the cluttering stories you’re bombarding yourself with and create quiet time for creative growth. You’ll say goodbye to procastination and doubt. Marenthe will explain some of her plans with The Art Beat Club for 2019. You’ll go home with lots of energy and inspiration. We’ll work in the former engine room on the ground floor of the old watertower of Dordrecht. The high windows make the room very light and offer a magnificient view of the beautiful garden. There’ll be tea and coffee. Lunch is not included. You can bring your own lunch or we can have a delicious meal together (optional) at the Villa Augustus restaurant (from 8 euros). Please tick the box at the subscribe form if you want to reserve a spot for lunch in the restaurant. You’ll be guided to dig deep, to ask better questions and find clearer answers. You’ll be gently challenged. It will also be fun. You’ll have personal feedback and there will be small group discussions. We’ll work in Marenthe’s atelier in the centre of The Hague. The historical Denneweg, Lange Voorhout and the famous Hotel des Indes (where Roosevelt, Churchill, the Spice Girls and the Rolling Stones slept) are just a walk away. Tea, coffee, juice and Tony Chocolonely are included. Lunch is not included. You can bring your own lunch or we can have a delicious meal together (optional) at Walter Benedict on the Denneweg (from 8 euros). Please tick the box at the subscribe form if you want to reserve a spot for lunch in the restaurant. 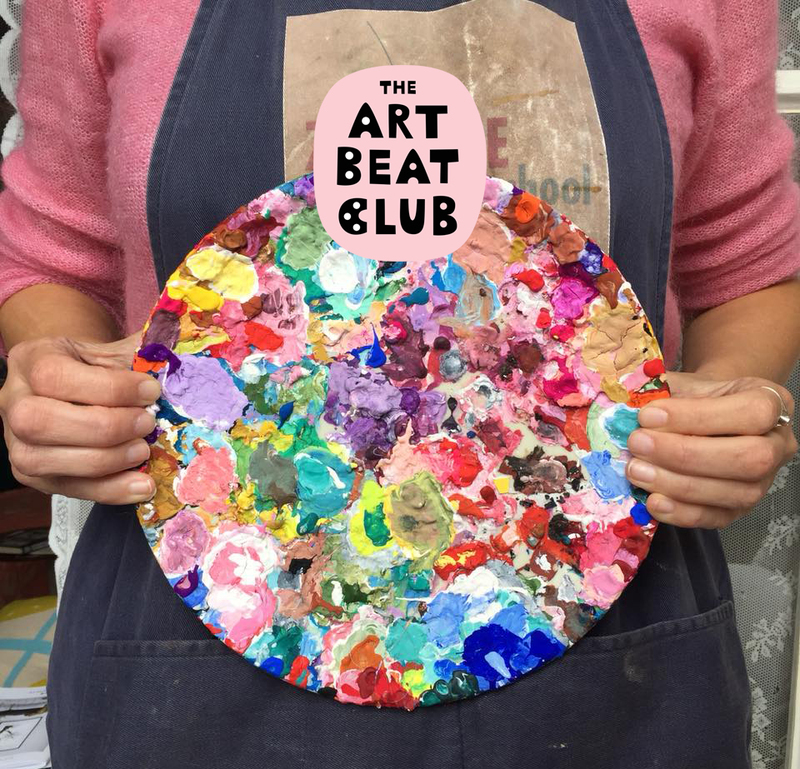 Who is The Art Beat Club in Winter Wonderland for? Where, when and what’s the cost? Fees are including 21% VAT. Early bird fee is until December 27, 23:59. Booking will close on January 20, 20:20 (or sooner, once the classes are full). You’re talking about writing. I’m not a writer. Can I join? Please do. You don’t have to be a writer. You know how to talk and you learned how to write in school. These are the only tools you’ll need. With practical excercises you’ll learn how to tell your story with words, drawing and painting. This is NOT a writers’ course. You won’t learn how to write and you won’t learn technical writing skills. You will discover that visual storytelling can be liberating and playful. You’re talking about a White Rabbit, splendidly dressed, with a pair of white kid gloves in one hand and a large fan in the other. I can’t draw that. I even don’t know how to draw an animal. Is this course for me? Yes it is. It’s all about your imagination. You don’t have to draw difficult realistic things or animals or people, only if you want to. Marenthe will guide you and you’ll learn to visualize your imagination. We’ll use rabbits and footmen to loosen up your creativity and your imagination. That’s all. Lunch is not included, because we all have different wishes and preferences. You can bring your own lunch or we can have lunch together at the restaurant of Villa Augustus on day one and at Walter Benedict (Denneweg) on day two. Cost of a delicious lunch starts at 8 euros. What’s the difference between Saturday and Sunday? On Saturday we’ll have a larger group, so there’ll be less time for personal feedback and guidance. Marenthe will guide you as a group and if you have questions, feel free to ask them! On Sunday we’ll dive deeper into what we’ve done on Saturday. The group will be no more than 7 people, so there’ll be room for some one to one time with Marenthe. Sunday will feel more like a private class. The locations are different; Dordrecht, day one and The Hague, day two. I joined the Autumn Art School. Will this one be different? Yes. The excercises will be different. I'm not an experienced artist. Is that a problem? On day one: No. You don't have to be Pablo Picasso to be a painter. All levels and abilities are welcome. Everyone can play, explore and discover at his or her own pace. Marenthe's mantra is: “come have a go”. On day two: The day will be intensive, so you’ll enjoy it more if you have some experience. Help! I have a fear of failure. 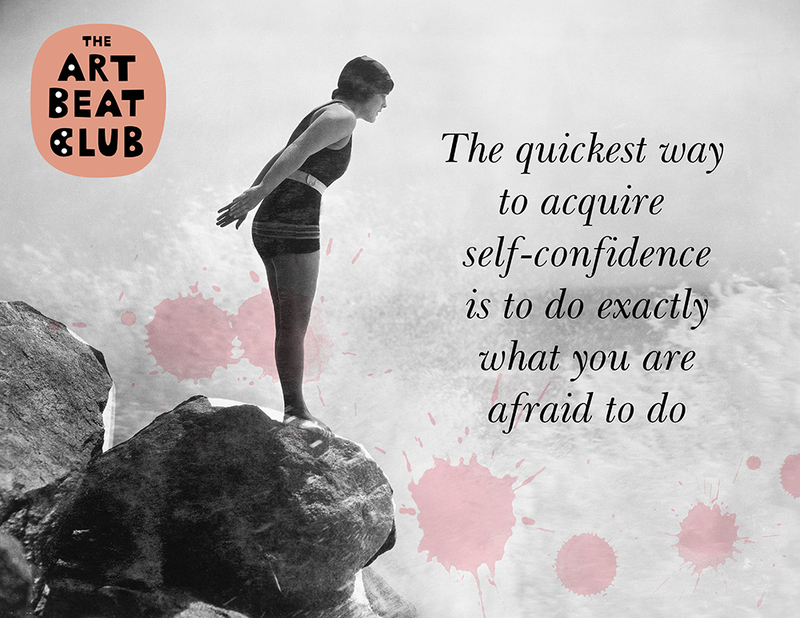 When you’re ready to jump, your courage grows. I want you to feel happy and safe. And if you don’t have fun? I’ll eat my hat – or put my brush in the fire. I haven’t drawn or painted for ten years. Doesn’t matter. You also never forget how to ride a bike. I don’t speak Dutch, is that a problem? The School will be in Dutch but Marenthe will be happy to provide explanations in English. I think meditation is scary. Do I have to join in? Marenthe sometimes hosts short meditative exercises. It’s fine if you don't like meditation. You're free to participate in a way that feels right for you. How many people can register? The number of places is limited, especially for day two, where there are only 8 places available. Full is full. If there’s no space left, we’ll put you on the waiting list. Registration is confirmed on receipt of payment. You'll receive an invoice by e-mail. Payment within 7 days. You can cancel free of charge within 14 days after registration. In that case, the paid fee will be refunded in full unless this falls on or after January 8. No refunds will be given after this date. Everyone between 17 and 170 is welcome to attend. See you in the garden?